Contractor bonds are generally required by California state law and are really just a line of credit to protect a contractor’s specific clients and the public. For more information and details about contractor bonds and they type and what you’re required to have, call on the professionals at California Contractors Insurance. We’re a company which specializes in the types of contractor bonds and/or contractors insurance needed for the peace of mind protection your business needs and requires to comply San Diego County law. These assurances allow you to work a job site focusing solely on what you do best, and not worrying about other entanglements. At California Contractors Insurance, we have a stable of contractors insurance agents who excel and specialize with the types of insurance (or in this case, contractor bonds) necessary to work as an independent contractor in San Diego County CA . Local, state and federal law sets certain requirements and criteria to be met and these types of financial obligations can be difficult to understand. So let our experts help you with the type of contractor bonds or contractor insurance you need to do what you do best. Each of our contractor bonds experts is highly skilled, trained and certified, so you know we’ll work tirelessly for you. A contractor bond in San Diego County is a type of a surety bond that is meant to cover the contractor, the customer and the state bond providing agency. In essence, the contractor bond is a type of performance bond that supplies legal and financial cover for the three entities pointed out. This bond is meant to apply throughout the construction project’s duration. A contractor is required by law to secure a specialists’ bond from the state’s licensing agency, and it normally serves to guarantee that the contractor stays within the required laws that guarantee professionalism. As stated, the contractor bond in San Diego County CA will cover 3 entities that have an interest in the job: the contractor, the client and the state agency that issued the bond. As for the contractor in San Diego County, the bond is meant to ensure that they stay within the boundaries of principles and professionalism throughout the life of the job. If there are dishonest decisions that will impact any concerned party, the aggrieved party can file for compensation against the bond. The aggrieved party, in this case, could be the customer, the agency that provided the bond or both. Besides requiring that the contractor follow specific requirements pertaining to the task, the contractor bonds also guarantee that the contractor will pay all their staff members, providers and subcontractors. A contractor bond is more of a credit line rather than an insurance policy. It is not a real insurance coverage though. It is a legal contract between the contractor, client, and agency providing the bond. 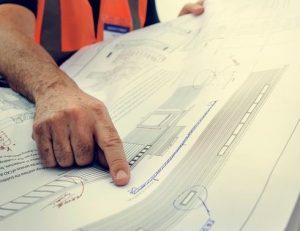 Most states require that upon getting certified, the contractors will also need to get a surety bond against a premium. 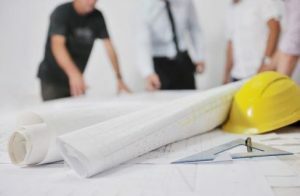 The bond will place conditions on the contractor, and the conditions will be in line with the state and federal laws that cover construction jobs. The bond will also define actions that are thought about as violations of the laws on buildings. In case the contractor violates the contract, examinations will be done by the surety agency. If they conclude that the claim is genuine, then the claimant will be compensated as much as the full amount of the bond. Thus, the contractor will be required to pay back the surety for the amount that it has extended to the claimant. The contractor will, therefore, bear the financial burden of the breach of contract. The contractor remains accountable for their commitments even though it is the surety who covers the claims. This bond protects the client, in addition to making the procedure of construction transparent. While it puts the burden on the contractor, it also makes sure that only legitimately expert contractors remain in business, weeding out undesirable competition from cowboy specialists. San Diego County is just one of the many counties in California that we serve.